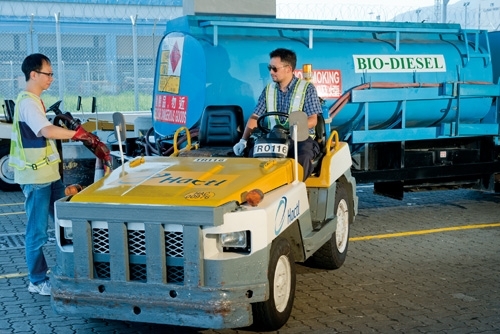 Hong Kong Air Cargo Terminals Ltd (Hactl) – the largest cargo handler at Hong Kong International Airport – has received a Carbon Reduction Certificate from the Environmental Campaign Committee (ECC). The certifciate is awarded under the Hong Kong Awards for Environmental Excellence scheme, in recognition of Hactl’s success in reducing its carbon footprint. The ECC recognises organisations that achieve its target of 3% annual carbon reduction. According to the independent assessment conducted by British Standards Institution (BSI) Pacific Limited in 2014, Hactl reduced its carbon footprint by no less than 12% during the twelve months of the survey. The carbon reduction certificate is valid for a period of three years. 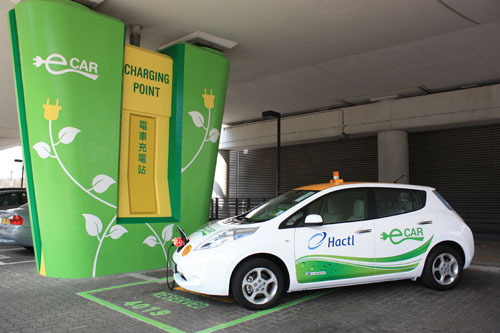 The impressive results of Hactl’s green efforts are the product of a number of feasibility studies, gap analyses and meetings with eco-pioneers – leading to numerous initiatives including the use of electric vehicles; energy saving through improvements to air conditioning, refrigeration, lighting, and forklift battery charging systems; and increased use of biodiesel. Hactl’s Manager - Quality Assurance, Benny Siu, enthuses: “We are committed supporter of environmental initiatives. We are very pleased to have achieved this 12% carbon reduction, which is remarkable in environmental circles. Launched in 1976, Hactl is Hong Kong’s largest independent cargo handler, serving more than 100 airline companies and 1,000 freight forwarders. Hactl’s subsidiary Hacis provides scheduled road feeder services to/from 6 key points in southern China’s important Pearl River Delta region. The company's shareholders are Jardine Matheson & Co Ltd (41.67%), Hutchison Port Holdings Ltd (20.83%), The Wharf (Holdings) Ltd (20.83%) and China National Aviation Corporation (Group) Ltd (16.67%).